Once again Specialty Cinema attends Australian International Movie Convention (AIMC) this year, which was held at Jupiter’s Casino on the Gold Coast from Sunday, August 19 until Friday, August 24. It was a wonderful opportunity to network and renew friendships with many colleagues in the cinema industry. As usual it was a busy time catching up with all the major, mini-major and independent exhibitors from Australia and New Zealand and fortunately for Specialty it was a worthwhile trip. Apart from the distributor presentations, one of the highlights was the trade show where many of the trade exhibitors showcased some of the new technology for cinema which I found very informative – particularly on the digital technology side (but that is another topic in itself which I will share with you in my next blog). I also found some of the seminars of particular interest, but the one that stood out was by Damian Wardle, Vice President of Global Theatre Technology & Presentation for Cinemark Holding’s USA, which is one of the largest exhibitors in the U.S. and South America. Damian gave a first-hand insight into the conversion from film to digital of one of the largest cinema chains in the U.S. Some of the topics he covered included the challenges for converting from 35mm, network infrastructure, future proofing (HFR, Lazer, Satellite Delivery, Equipment), and common causes for lost sessions, service and maintenance programs and training. It was interesting to see that the majority of independent exhibitors were in attendance for this early morning seminar over breakfast. Headlining the opening of the AIMC on a Sunday night and part of the red carpet arrivals were some of the cast from Director PJ Hogan’s new film Mental, including Rebecca Gibney, Anthony LaPaglia, Lily Sullivan and the Director himself. 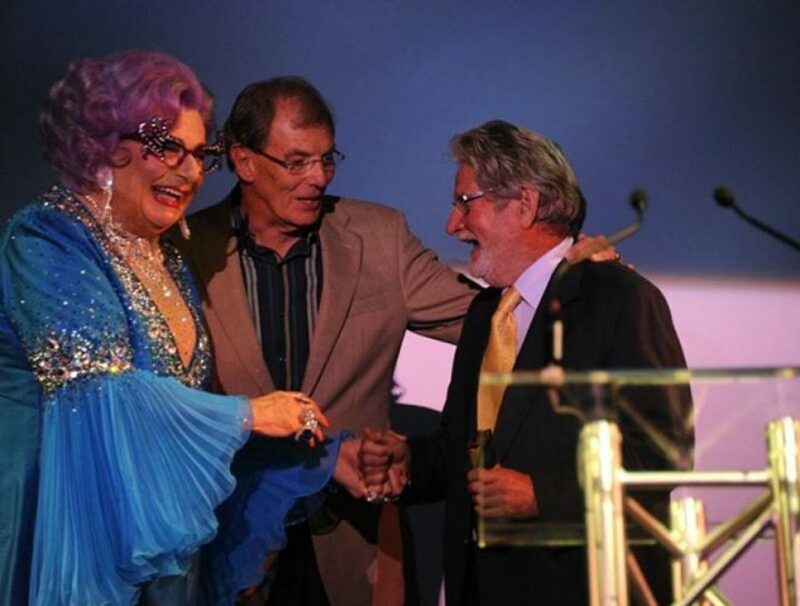 Australia’s greatest Dame performed live and exclusive at the final night wrap celebrations and presented The Murray Forest Award for Film Craft to Don McAlpine, who happens to be one of the best Cinematographers in the world today. 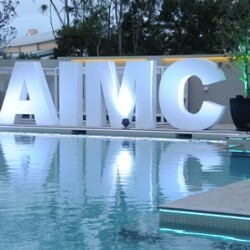 The AIMC is a unique event in that it offers something for everyone who works in the industry, from film production to exhibition. As expected, the current major focus of the industry remains on Digital and 3D installations with most exhibitors in the throws of deciding the best option moving forward for their cinema. I’d be interested in hearing from anyone on their thoughts of this year’s AIMC and if it was a useful tool to determine what the best result would be for your cinema. Did you leave the conference with enhanced knowledge of what the best alternative for your cinema would be? With all the challenges that lie ahead for cinema, I would love to hear back from you to see what you thought.